Refunds: All Registration and payments must be made online. Once your entry fee is received, it is non refundable, unless your team is not accepted into the tournament by the tournament director or the tournament is cancelled. In such event you will promptly receive a full refund of your entry fee. Accommodations: All traveling teams with overnight stay are encouraged to book their accommodations at one of the host hotels listed in the tournament website under the "Hotels" tab. This is an unrestricted tournament open to all USSF member organizations. Players registered, carded and in good standing with United States Amateur Soccer Association (USASA) affiliate organizations (South Carolina Amateur Soccer Association SCASA/USASA, North Carolina Amateur Soccer Association NCASA/USASA). USASA recognizes this tournament as an unrestricted tournament open to players and teams of other US Soccer member organizations. This means that USASA player accident and general liability insurance coverage will apply to players registered through its affiliates when competing in this tournament against players/teams of other US Soccer member organization. Should your USASA affiliated organization tell you otherwise, please have them contact USASA directly. Team Check-In. Check-in for all 19U and under teams is online. Adult team check-in will be at the Sports Center one hour before team's first match. The committee has the sole authority in making this selection and/or inviting teams at their own discretion. The committee also reserves the right to combine, drop or modify age groups. All players must provide proof of age by presenting their United States Soccer Federation affiliated player cards and tournament team rosters. These cards are to be presented for each of their players at team check in. These cards are issued by USYSA, US Club Soccer, etc. Player cards must be verified, photo attached and laminated. If you are not sure of a player’s eligibility ask, in writing, to the Tournament Director. Players may be double-rostered on teams that are in DIFFERENT AGE DIVISIONS ONLY. Players may not play for more than one team in the same age group, including goalkeepers. Adult players must be a registrant of a US Soccer member organization such as USASA. Proof of player registration shall be provided by the player’s name listed on the adult team roster with official stamp and date of the US Soccer member organization or its affiliated state association, along with a clear and legible copy of the player’s player card or Driver’s License. The US Soccer member organization must recognized the tournament as an unrestricted tournament and all applicable insurance coverages afforded to its teams/registrants are applicable while competing in this tournament. All games shall be accordance with the FIFA “Futsal Laws of the Game”, except as modified below. Products and behavior prohibited by the facility are not allowed in the facility, including but not limited to animals except service animals, outside beverages and food, verbal abuse, etc. The tournament reserves the right to remove and or ban individuals violating the general rules. All substitutions must take place in the technical area (in front of the team bench) NOT at the half-way line. All substitutes must wear pennies/bibs. A substitute may enter the pitch after handing the bib to the player being replaced in the marked technical area. Pennies/bibs must not conflict with the team's jerseys. Kick-Offs are indirect. The ball must be played forward first. Tapped balls are not in play – the ball must move forward. Kick-Ins are indirect. The ball must be placed on or no more than 10 inches behind the line and the kick must be taken within 4 seconds. The kicker's non-kicking foot must be out of bounds or on the line. (A kick-in that goes directly in the opposing goal is a goal clearance for the opposing team. A kick-in that goes directly in the defensive goal is a corner kick of the opposing team.). Corner Kicks are direct. The ball must be placed directly on the corner spot and the kick must be taken within 4 seconds. Free Kicks-may be indirect or direct. The ball must be stopped completely before the kick may be taken. Penalty Kicks are taken from the penalty spot and must be shot at goal by a clearly identified kicker. Defenders may not be nearer to the ball than 16 feet and must be behind an imaginary line running from touchline to touchline even with the penalty spot. Distance. For all of the above, except goal clearances, opponents may not be closer to the ball than 16 feet. Indirect Free Kicks. When a player plays in a dangerous manner, impedes an opponent (without playing the ball), slides, prevents the goalkeeper from releasing the ball with his/her hands or commits any offence for which play is stopped to caution or eject a player. The offending player is shown a yellow card. If a player earns two yellow cards in a match, he is shown a red card. Yellow card accumulation. Yellow Cards are accumulated from game to game, throughout pool play and or cross pool play. Two accumulated yellow cards result in suspension of the player for the next pool game. If a player is dual rostered, the suspension is served on the team for which he was playing when he received the 2nd yellow card. Yellow cards are not carried over to the semifinals nor accumulated in semifinals. Red Card/Ejection. The offending team plays down for two minutes unless scored upon before the two-minute penalty expires. The offending player serves a minimum one-match suspension. Accumulated Fouls Penalty Kick (AFPK). All penal fouls are recorded on the scoresheet and on the scoreboard. If red fouls blue a sixth time in one half, for that sixth penal foul and all subsequent penal fouls in that half, blue is awarded an accumulated fouls penalty kick. If the foul occurs farther from the attacking goal than the second penalty spot, the AFPK is taken from the second penalty spot. If the foul occurs nearer to the attacking goal than the second penalty spot (but outside the penalty area, of course), the attacking team may choose whether to take the AFPK from the second penalty spot or from the spot of the foul. All AFPK's must be shot at goal by a clearly identified kicker. The defending team may not make a wall and may not be nearer to the ball than 16 feet and must be behind an imaginary line running from touchline to touchline even with the spot of the kick. The goalkeeper may be off his/her line, but may not be nearer than 16 feet from the ball. Accumulated fouls are reset to zero at the beginning of the second half. Second Penalty Spot. 30 feet from the center of the goal. Penalty Spot. 20 feet from the center of the goal. Advantage. Advantage will be applied in futsal, with penal fouls still counting as accumulated fouls. If the referee shouts, "play on" and gestures with both arms, the foul was a penal foul and will be counted accordingly. If the gesture is with one arm, the free kick would have been indirect and thus does not count toward the total. Must wear a different color shirt. May wear long pants and/or other padding as deemed safe by the match referee. May score directly with his/her feet during the run of play. May not possess the ball for more than four seconds in his/her own half. May not throw the ball into the opponent’s penalty arc. In the event that the U11 and U12 age groups are combined, games will be played with the size 3 or Select Jinga Jr ball. Equipment. Player equipment must conform to FIFA rules. All players will wear shin-guards (under the socks). However, soft braces can be worn as long as they are properly wrapped. The safety of all players and final decision on safety is at the discretion of the referee. Players & Casts. Players wearing a permanent orthopedic cast shall not be eligible to participate in any game. However, a player wearing a cast is permitted to play at the discretion of the referee. It is up to the referee to determine if the cast is a danger to the player themselves or others. For a simple cast extending below the elbow (player can bend elbow and catch themselves falling) usually bubble wrapping will suffice. If you have questions call the tournament director. Home Team. The Home team is the team that is listed first on the Schedule. In the case of a jersey conflict, home team must change jerseys. Visiting teams kicks off first. Roster Size. Players roster size is limited to 10 players. No Coed teams allowed – mixed gender teams are not allowed. Stop-Clock During Semi-final and Final Games. At the referees’ discretion, in games where a winner must be determined (cross over pool games, semi-final and finals), if time-wasting actions are being employed, the clock can be stopped in the last two minutes of the game if the score differential is less than 4 (GD of 3, 2, 1 or 0). Duration of Game. Two (2) twenty-four (24) minute halves. One three (3) minute half time. No Overtime. Referees will keep time for all matches. Semi-Final and Final Games. During the last two minutes of play if the score differential is less than 4 goals (3, 2, 1 or 0 goal difference), the clock can be stopped if it is determined by the referee that teams are using time-wasting techniques. Score Table. Each score table will be run by sports facility personnel. Players, reserve players, managers, coaches and fans are expected to conduct themselves within the letter and spirit of the “Laws of the Game”. The Tournament Staff has the authority and the responsibility to remove any person(s) from the tournament for abuses of conduct, in addition to any specific disciplinary action brought about by any other authority. Tournament staff will designate a sideline to be for the sole use of the players listed on the game roster and a maximum total of three (3) managers/coaches/trainers from each team, with one team occupying one side of the mid field and one team, the other. While the game is in progress coaches/managers/trainers/players must remain on their respective benches and may not roam the sidelines. 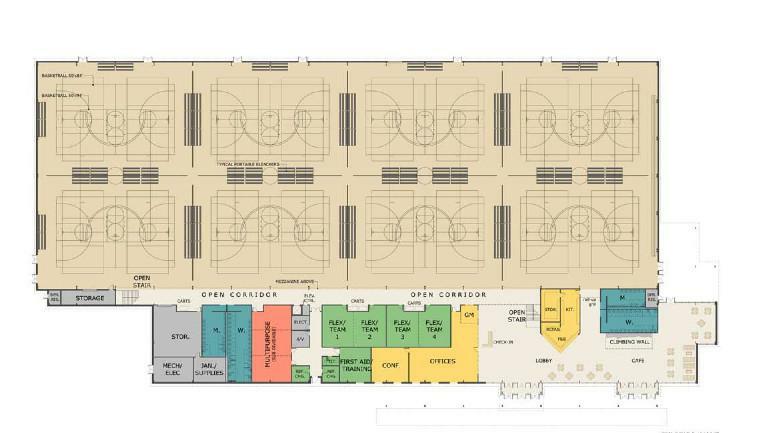 Tournament staff will designate the opposite sideline for spectators. Artificial noise making devices are prohibited. The manager/coach will be responsible for the behavior of their fans and the referee will have the authority to warn and ultimately send off, any manager/coach and the fans who behave in an abusive or disruptive manner. Post Game Procedures. As a mutual courtesy, both teams will meet at the center circle and congratulate each of the opposing team members for a game well played. Manager/coach of both teams will insure their respective sideline areas are clean and that all trash is in containers. It is the responsibility of the coach/manager to retrieve their Official Tournament Roster card from the referee at the conclusion of the match. Discipline. A player manager or coach ejected will have an automatic minimum one (1) game suspension regardless of the cause of the ejection. In the case of multi-team coaches the suspension will be served in the next game with the team with which the ejection was given. All referee’s rulings stand. Depending upon the severity of the unacceptable conduct, a suspension of up to the duration of the tournament may occur. Red cards have an automatic minimum of a one game suspension and will carry over throughout the tournament and must be served with the team with which the suspension was earned. Violent conduct red cards could have a suspension of up to the remainder of the tournament at the discretion of the Conduct committee. Yellow Card Accumulation - A player that accumulates two Yellow Cards during pool play and/or cross pool play is automatically suspended for the team's next pool play match. Accumulated yellow cards do not carry over into semifinals and finals If a Red Card is given to a player/coach and they are sent off, a report shall be filed with Tournament Staff. The Official Tournament Roster will be placed with the red card report and turned in to the administrative desk to be marked with the next game information. The coach/administrator may pick up their roster card and take the card to their next match, but the offending player/coach must serve his/her game suspension during the scheduled match. This will be noted on the roster card. A Red card suspension can only be served with the team with which the suspension was earned in games played by their team. For US teams, any disciplinary action deemed reportable by the Head Referee, will be reported to the disciplined individual’s state association. Playoff Games Ending In Ties. If at the end of match where a winner must be decided and the score is tied, the referees will go directly to penalty kicks to determine winner of the match. Three (3) PKs will be taken by each team and if the score is still tied at the end of that phase then sudden death PKs are taken If a team finishes the match with fewer players than the opposing team (due to injury or misconduct), the captain/coach of the team with the greater number of players must select and identify for the referee those players who will not participate in kicks from the mark. In other words, the team must “reduce to equate” so that the kicks from the penalty mark procedure begins with teams having an equal number of players. Once kicks from the penalty mark have begun, there is no further application of the “reduce to equate” principle. Forfeited/Cancelled Games and Protests. A minimum of three (3) players is necessary to start a game. Games will start at the given time. In case a team does not have three (3) players present, there will be a maximum of a 5-minute grace period while the clock runs before awarding the game to the opponent. A forfeit will be scored 3-0. If a team forfeits any match, all games played by that team will be scored as 3-0 and the team will be ejected from the tournament. In no case should a team who forfeited a pool play match be declared a winner of wild card team. The team with the next best record will advance to semi-final or final play. Terminated Games. If the referee terminates a match for reasons other than field conditions, the Tournament Director(s) will decide the result of the match after reviewing the match report and written testimony of both coaches. Protests. There will be no protests. Referee and Tournament Staff decisions are final. Decisions by the entity deciding any disputes may not be appealed.